Find places to stay in Peachtree City, GA and other fun things to do. View our list of attractions, activities, events, restaurants and visitor information. 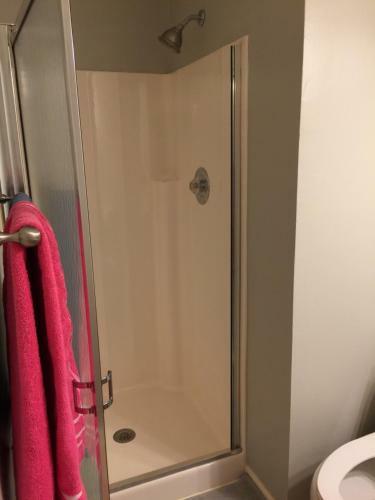 Located in Peachtree City Cozy home for travelers offers free WiFi and units equipped with a kitchen and seating area.Every unit has a private bathroom and shower air conditioning a flat-screen TV and a dishwasher. Non Smoking Rooms. 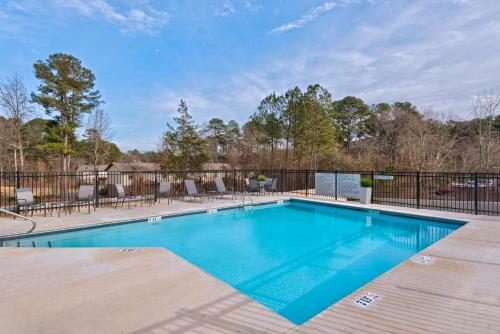 Offering an indoor pool bike rentals lots of on-site activities and an on-site restaurant Crowne Plaza Atlanta SW - Peachtree City is a relaxing oasis set on 40 landscaped acres. Free Internet, Indoor Pool, Restaurant, Non Smoking Rooms. Complimentary breakfast a seasonal outdoor pool and rooms equipped with microwaves and refrigerators make the Days Inn and Suites Peachtree City a convenient hub for exploring local sights. Free Internet,Outdoor Pool, Free Breakfast, Pets Allowed, Non Smoking Rooms. Freebies include Wi-Fi shuttle service parking and breakfast at the non-smoking Fairfield Inn and Suites by Marriott Atlanta Peachtree City which is a short drive from Atlanta. The non-smoking Fairfield Inn consists of 81 rooms on three floors. Swimming Pool,Outdoor Pool. Currently as low as $98.80/night! Free breakfast an outdoor pool complimentary internet access and rooms with microwaves and refrigerators make the Hampton Inn Atlanta/Peachtree City a peachy place to get a good night's rest. Free Internet, Swimming Pool,Outdoor Pool, Non Smoking Rooms. Currently as low as $101.15/night! Offering an indoor pool an on-site restaurant and rooms furnished with free Wi-Fi microwaves and mini-fridges the non-smoking Hilton Garden Inn Atlanta Peachtree City is a smart choice for our guests. Free Internet, Swimming Pool, Indoor Pool,Outdoor Pool, Non Smoking Rooms. Free Wi-Fi microwaves and mini-fridges an outdoor pool and an on-site restaurant make the Holiday Inn Hotel and Suites Peachtree City a comfortable and friendly place to relax. 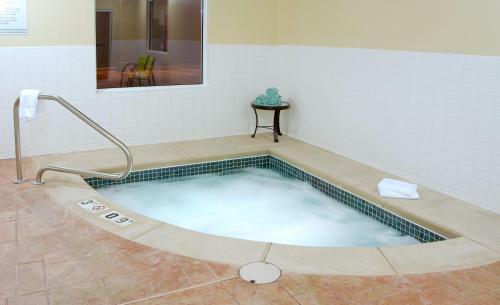 Free Internet,Outdoor Pool, Free Breakfast, Restaurant, Pets Allowed, Non Smoking Rooms. 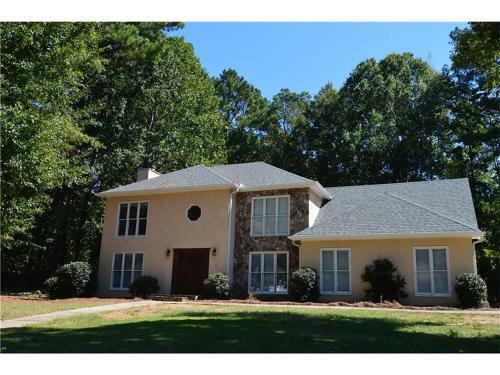 Luxury home for travelers is set in Peachtree City. This homestay features a garden as well as free WiFi.If you would like to discover the area fishing is possible in the surroundings.Atlanta is 45 km from the homestay while Newnan is 25 km away. Non Smoking Rooms. 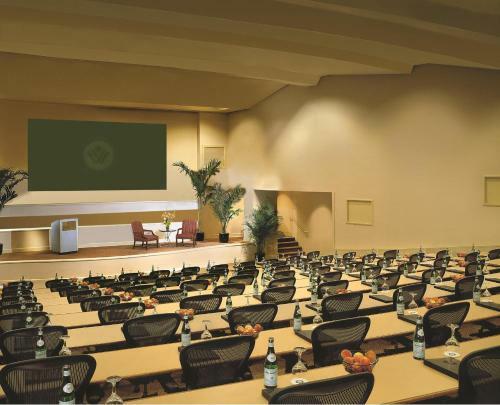 Offering two pools a large fitness center on-site dining and rooms with private balconies the Peachtree City Hotel - Conference Center is one of the area's most popular hotels among our guests. Indoor Pool,Outdoor Pool, Restaurant, Non Smoking Rooms. Currently as low as $179.00/night! 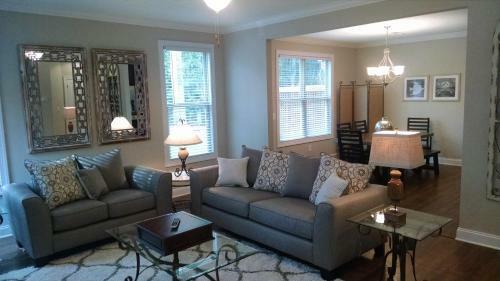 Peachtree TownHome is a semi-detached holiday home with a garden situated in Peachtree City in the Georgia Region. 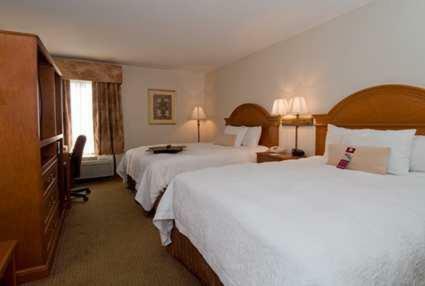 The air-conditioned unit is 40 km from Atlanta and guests benefit from free WiFi and private parking available on site. Free Internet. Currently as low as $75.65/night! Offering free breakfast an exercise room and a location with easy access to shopping the Sleep Inn Peachtree City is a convenient hub for exploring the area's attractions. Free Internet, Restaurant, Non Smoking Rooms.